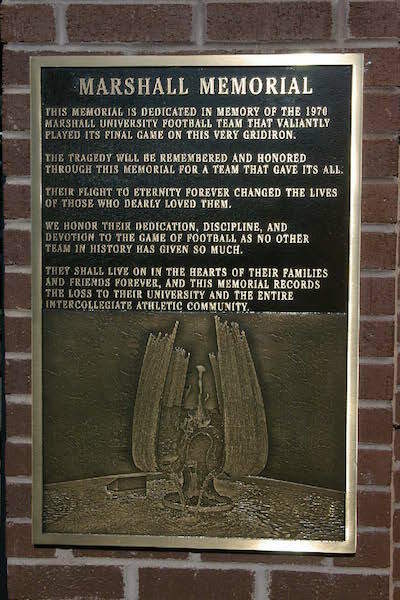 East Carolina University’s memorial plaque was dedicated Nov. 11, 2006 before the annual matchup. It was a brisk fall night at Dowdy-Ficklen stadium. 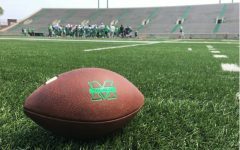 The Marshall University football team had traveled south to Greenville, North Carolina to take on East Carolina University for their second to last game of the season. 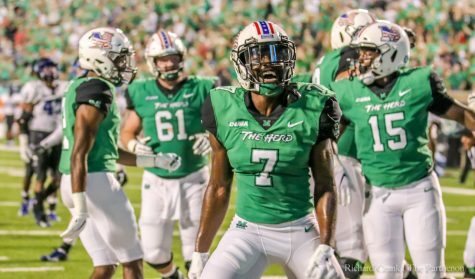 The crowd roared as Marshall was down 14-17 with 30 seconds left in the fourth quarter. 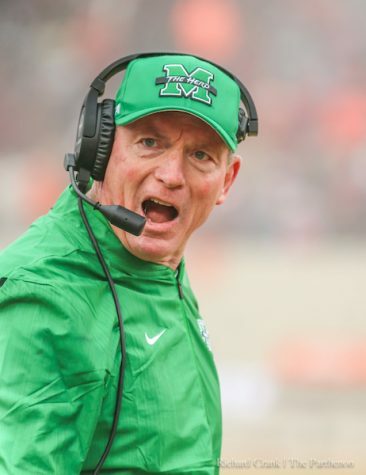 While Marshall attempted to get into field goal range, the referees called a controversial intentional grounding penalty that made a field goal impossible. 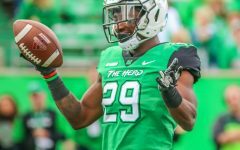 The Herd lost in heartbreaking fashion. However, on that night, November 14, 1970, the heartbreak was just beginning. 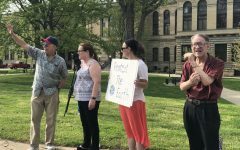 To this day, students and faculty talk about what happened that night. We all know what was lost. Brothers, sisters, sons, daughters, a football team, the backbone of a community. However, seldom do we talk about what we gained. A friendship, a bond, a unique relationship between two schools that can only be developed through the power that is college football. 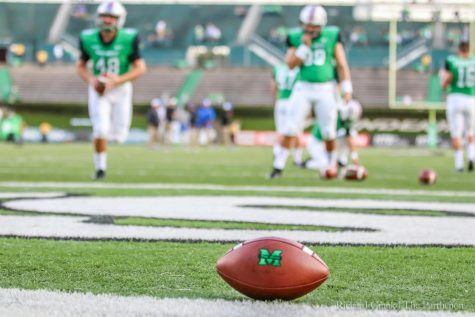 A phenomenon between Marshall and East Carolina occurred in the years following the crash. One in which two rival universities put football aside in order to focus on the more important values in life and to heal wounds that, at one time, seemed unhealable. East Carolina University is a public research university nestled in the town of Greenville, North Carolina. Its colors are purple and gold and its mascot is the pirate. 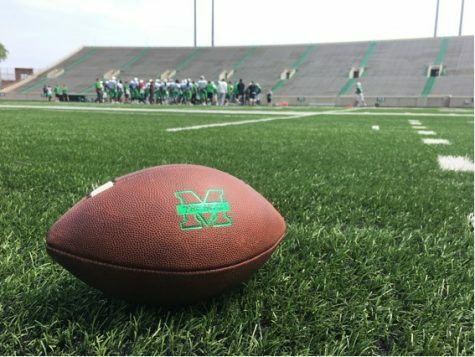 Its student body is roughly 28,000, about twice as large as Marshall’s. Their football team still plays at Dowdy-Ficklen Stadium, the same one that the 1970 Thundering Herd played its last football game. And at the northeast corridor of the stadium, there is a memorial plaque. Carved into the plaque is a picture of the memorial fountain on Marshall’s campus. Accompanying the carving is a dedication. The plaque reads: “This memorial is dedicated in memory of the 1970 Marshall University Football Team that valiantly played its final game on this very gridiron. The Tragedy will be remembered and honored through this memorial for a team that gave its all. Their flight to eternity forever changed the lives of those who dearly loved them. We honor their dedication, discipline and devotion to the game of football as no other team in history has given so much. The plaque was dedicated on Nov. 11, 2006, as East Carolina played Marshall at home in their annual matchup. Before the game, ECU held a ceremony in which it dedicated the Marshall Memorial plaque in remembrance of the lives we lost in 1970. Former ECU Chancellor Steve Ballard spoke at the ceremony. 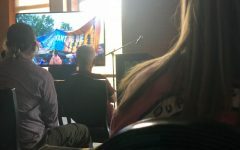 “It was a beautiful ceremony,” Ballard said. 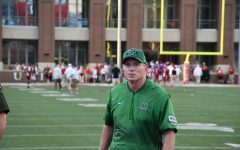 “I think the Marshall people really appreciated and respected ECU. WSAZ Sports Director Keith Morehouse knows all too well about the relationship between the schools. His father, Gene Morehouse, died in the crash. And throughout the decades, he’s had the opportunity to watch this relationship unfold before his eyes. 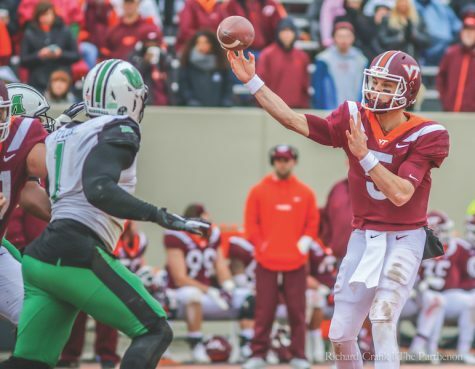 Compher, Ballard and Morehouse were all interviewed separately for this piece, yet they all came to the same consensus about Marshall and ECU: the schools can identify with one another. 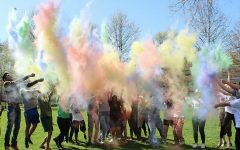 Though ECU has twice the student body of Marshall, there is an uncanny resemblance between the two schools, their communities and their football teams. It is this similarity that makes the relationship special. 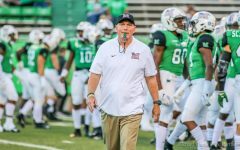 The students and faculties of Marshall and ECU are able to identify with one another on a level that goes further than football. And it wasn’t just Marshall affected by the crash. ECU did its own share of mourning, knowing that their school just hosted the last game of football that 75 people would ever watch or play. 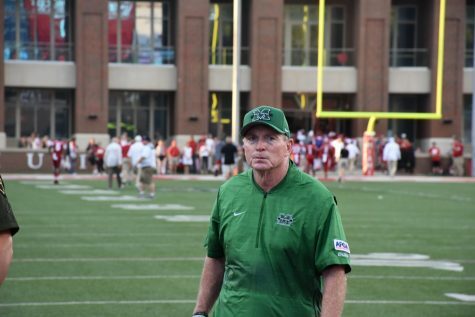 After the crash, Marshall didn’t oppose ECU again until 1978. The Herd lost 45-0. 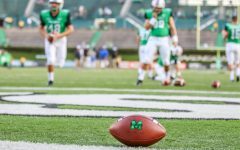 It wasn’t until 2001 that Marshall was able to play and defeat ECU by a score 64-61. 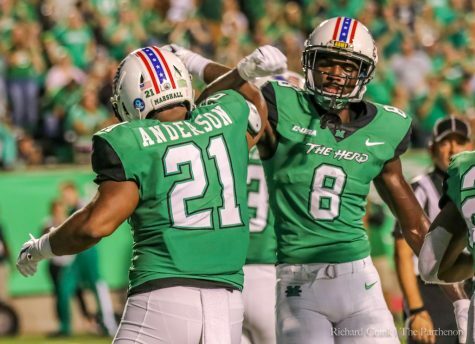 From then on, Marshall vs. ECU was a bookmark on both school’s calendars year after year. Today, ECU leads the all-time series against Marshall with a win-loss record of 10 and 5. 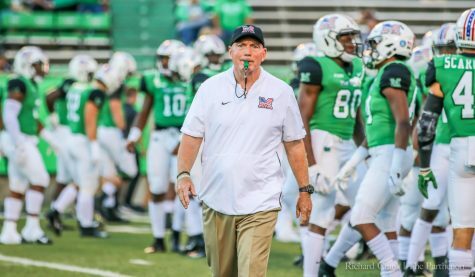 After an eight year stretch in which Marshall opposed ECU annually, ECU moved out of the Conference-USA to join the American Athletic Conference. The schools have not met in football since 2013. However, in 2020, Marshall and ECU will play football once again at Dowdy-Ficklen Stadium for the 50-year anniversary of the crash. 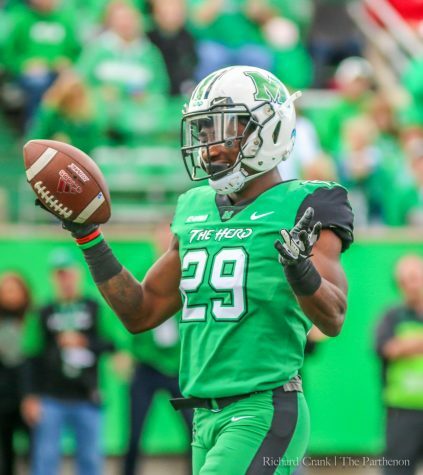 Then, ECU will come to Marshall in 2021. The home and home series is highly anticipated by both schools. 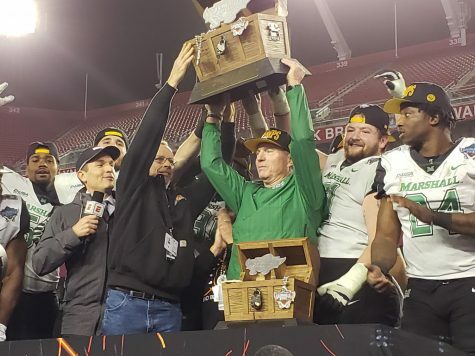 Keith Morehouse used one word to describe the relationship between Marshall and ECU: “kinship.” The Merriam-Webster dictionary defines kinship as the feeling of being close and connected to other people. No word better describes the bond that Marshall and ECU share. There is nothing like it in the entire world. Only Marshall and ECU can be separated by 337 miles and be as close as next door neighbors. Through triumph and tragedy, the two schools persevered with love, compassion and some good, old-fashioned college football. 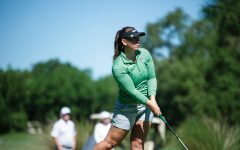 I am so proud of the author of this piece. It is well written and tells a sad, and wonderful, story with compassion and sincerity, without any unnecessary embroidery or sentimentality. Rick has displayed a talent for writing that grabs the reader and holds one’s interest throughout the article. Yes, I am his grandmother, but the article speaks for itself. 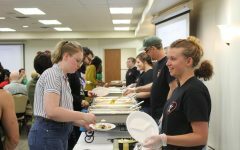 Thank you for this article recalling the lovely tribute from ECU. My brother made the 1st Marshall touchdown in that Nov. 14, 1970 game. I am forever grateful that my parents had been able to attend that game. It was an afternoon game, not a night game. I was there and sat on the Marshall side of the stadium.